IPS Hemant Karkare was the chief of the Mumbai Anti-Terrorist Squad. He was involved in the investigation of the serial bomb blasts in Thane, Vashi and Panvel and led the investigation of the 29 September blast in Malegaon. Martyred Karkare laid down his life during the operation against Mumbai attacks in 2008, after being shot three times in the chest. His bravery was honored with the Ashoka Chakra on 26 January 2009. Hemant Karkare was survived by his wife Kavita, daughters Jui & Sayali and son Akash. The older daughter Jui Navare lives in Boston, Massachusetts and the younger daughter Sayali studies at the London School of Economics. Karkare's son Akash is a student at R.A. Podor College of Commerce and Economics. His wife Kavita teaches at a college in Mumbai. Shirish Karkare, Hemant Karkare's younger brother who works as a manager at the National Insurance Company recounts, how as the oldest of four siblings, Hemant was the apple of their parents' eye. A bit of a loner and bookworm, he was always willing to put his books away when his siblings needed his help. Karkare came from a Maharashtrian Karhade Brahmin family. He obtained a Bachelor of Engineering degree in Mechanical Engineering from Visvesvaraya National Institute of Technology, Nagpur. After graduation he worked for National productivity council, Government of India and then Hindustan Lever limited now Hindustan Unilever Ltd., India's largest FMCG Company. He joined the Indian Police Service (IPS) as a member of the 1982 batch. Before becoming ATS Chief of Maharashtra State in January 2008, he was Joint Commissioner of Police (Administration) of Mumbai Police. He served seven years in Austria in the Research and Analysis Wing (RAW), India's external intelligence agency. One of the brightest police officers in Maharashtra, Karkare had solved the serial bomb blasts in Thane, Vashi and Panvel and was also credited for the stunning revelations in the investigation of the Malegaon blasts. He is known for his discipline and fair investigation. On 29 September 2008, three bombs exploded in Modasa, Gujarat and Malegaon, Maharashtra killing eight persons, and injuring 80. Several unexploded bombs were found in Ahmedabad, Gujarat. 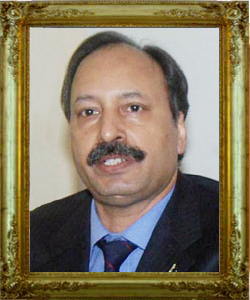 Hemant Karkare, as the chief of the state Anti-Terror Squad, led the investigation into the 2008 Malegoan blasts. On Thursday morning, with up to 55 guests being held hostage at the Taj Mahal and an estimated 40 at the Oberoi, the government sent in the elite Black Cat military anti-terrorist squad to flush them out of both hotels. Outside the Taj, the National Security Group of paramilitary police could be seen scaling the Gateway of India monument to get a better shot at the militants. The commandos systematically swept through the buildings, fighting room to room and freeing occupants such as Nori, the sushi chef at the Taj’s Wasabi Restaurant, who had been hiding in his room. A few streets away the military were figuring out how to dislodge a group of terrorists who had fled into a nearby slum, Colaba Market, where they had invaded a building and taken a Jewish family prisoner. As the sun set over Mumbai on Thursday night, gunfire and explosions were still rocking the Oberoi and the Taj. Meanwhile, police were tightening a cordon round Chabad House, where the Jewish family, consisting of the owner of the building, his wife and three others, were being held. At 9.45 p.m. while having his dinner at his Dadar residence, Karkare received a call about a terrorist attack at C.S.T. (earlier V.T.) station. He switched on the TV for news and left at once with his driver and bodyguards for C.S.T. There he donned a bullet-proof vest and helmet and went to Platform No.1 but found it deserted. He was then informed that the terrorists had moved to the Cama and Albless Hospital next to the Azad Maidan police station. At the police station he met Addl. Commissioner, East Region Ashok Kamte who was summoned for his cool temper and negotiation skills and Sr. Inspector Salaskar, who was returning from Colaba after interrogating detained persons. The operation was difficult as it was dark and the terrorists were well prepared and virtually on a fidayeen mission. When these officers with a few constables went to Cama from the back side and Kamte fired at the terrorists, the terrorists retaliated with a hand grenade. Kamte then suggested confronting the terrorists from the front entrance of Cama. So a couple of constables were stationed at the back entrance of Cama and the rest boarded a Qualis jeep of an ACP. As they were moving, Salaskar asked the driver to let him drive. About that time, they heard on the wireless that the terrorists were hiding behind a red car. As they turned from the Crime Branch office towards Rang Bhavan looking for the red car, near the Corporation Bank ATM, they saw a terrorist running. Kamte or Salaskar or both fired, the bullet hitting the terrorist on his arm, his AK-47 fell down. He was Kasab, the lone terrorist captured alive later. As they were thinking of getting down, the second terrorist, Ibrahim Khan fired a volley of bullets on them and all but one Assistant Police Inspector Jadhav died. Hemant Karkare, Ashok Kamte, Vijay Salaskar and others laid down their lives fighting terrorists during the Mumbai attacks, on 26 November 2008 in a narrow lane between St. Xavier’s College and Rang Bhavan, just a stone throw away from the Crime Branch office. Statements quotes by Constable Arun Jadhav, who was with the officers Hemant Karkare, Vijay Salaskar and Ashok Kamte when they died. The three officers and four constables had received information that Sadanand Date had been injured in the gunfire at the Cama and Albless Hosrpital for women and children. Located at Chhatrapati Shivaji Terminus (CST), a ten-minute drive from the hospital, they took a Toyota Qualis and proceeded in that direction. Salaskar was driving, Kamte in the passenger seat, Karkare in the second row, and the four constables, including Jadhav, were in the back row of seating. According to Jadhav, five minutes later, two terrorists stepped out from behind a tree and opened fire with AK-47 automatic rifles. The six policemen, other than Jadhav, were all killed quickly in the gunfire. Kamte was the sole officer who managed to retaliate, wounding terrorist Ajmal Kasab in the arm. The wounded Jadhav had no opportunity to render assistance. The two terrorists approached the vehicle, dumped the bodies of the three officers on the road and, leaving the constables for dead, proceeded to Metro Cinema. Upon arrival, they aimed three bursts of automatic fire at the police and press vehicles drawn up at that location, then drove off towards the government offices (Vidhan Bhawan) in South Mumbai. Here again they fired several times. While attempting to leave the area, one of the tires of the vehicle burst, so the terrorists departed to obtain another. At this point, Jadhav was able to contact headquarters. The bodies of the martyr were recovered and taken to St George Hospital. Former Ambassador of India IFS T P Sreenivasan said, I often described my officers in the embassy in Vienna from 2000 to 2004 as a 'dream team', and leading among them was Hemant Karkare, who was as adept in diplomacy as in fighting terrorism. Though trained only as a police officer, he took to diplomacy with ease and aplomb and he was at home in the conference halls of the Vienna International Centre as he was on the streets of Mumbai. As he laid down his life in the process of valiantly fighting against terrorism, India lost a brave hero and a charming diplomat. The Karkare family is planning to form a trust in the name of late Hemant Karkare. 'Hemant Karkare had planned to start the trust in the name of his parents. He wanted to help aspiring students, sportspersons and artists through the trust. Family decided to add Hemant's name in the trust and it will start functioning soon. The family was also looking for the drafts of short stories that Hemant Karkare had written based on the investigations during his service. They would like to publish them in a book. God bless his holy soul!